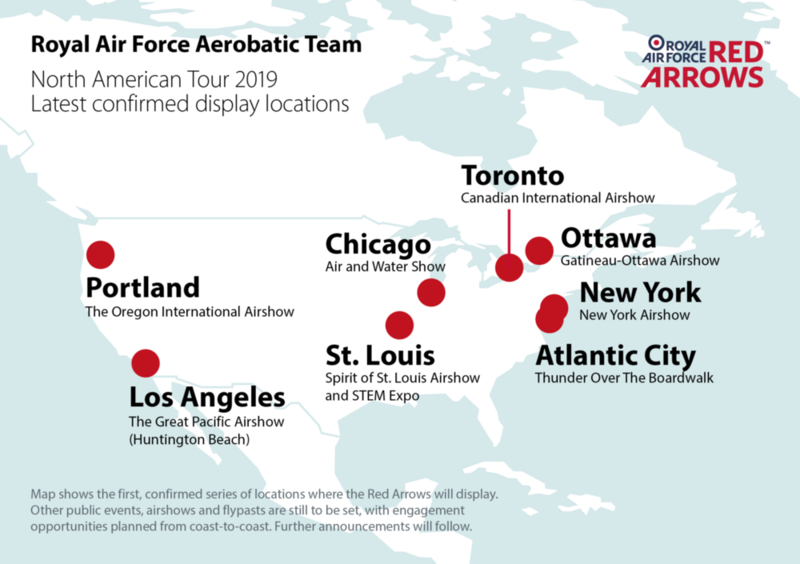 The Royal Air Force Red Arrows have released an initial schedule for their 2019 North American Tour, nicknamed Western Hawk 19. The team’s release emphasizes that these are the confirmed appearances, with more expected to be added in the coming weeks. The team will display at the Royal International Air Tattoo July 19-21 in the United Kingdom, and then will undergo a short period of maintenance before heading to North America at the beginning of August. Stay tuned to our website and social media for the latest news and updates regarding the Red Arrows’ upcoming trip to North America!